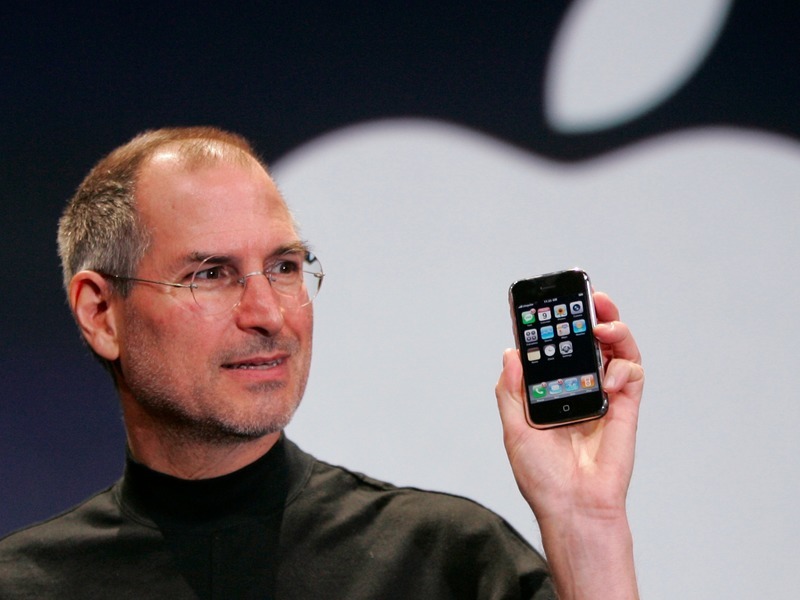 Apple will soon usher in the 10th anniversary of its hallmark product – the iPhone. The device has revolutionised the way we communicate since its introduction in 2007, and provided a major catalyst to Apple becoming the biggest company in the world. Later today, Apple will hold one of their most defining product launches, the iPhone 8. Once considered the best smartphone experience available, the market has now become saturated with genuine alternatives, and Apple is no longer the same disruptive force it once was. Will the iPhone 8 be the solution, or will Apple fall further behind in the telecommunications race? We asked a group of expert global equity managers to get their thoughts on the questions everyone is asking ahead of the unveiling tonight. Could the launch of the iPhone 8 be a significant short-term price catalyst? The iPhone 8 will be the biggest launch ever for one simple reason: This is Apple’s first redesign since 2014. Given almost everyone now has a smartphone, the biggest driver of growth is replacement demand. And given three years of pent up demand, Apple will probably sell a lot of replacement iPhones (with much higher memory!). On top of this redesign, Augmented Reality is an exciting new feature that plays to Apple’s structural advantage of soup-to-nuts control of software and hardware. However, bear in mind the launch of the iPhone has already been a significant price catalyst. Apple shares are up 54% YTD, comparable with the +57% prior to the iPhone 6 launch and +37% ahead of the 6S. As we saw with the iPhone 6, if March quarter numbers surprise, Apple shares could remain strong for a while, but my belief is that ‘Mr. Market’ tends to price in a lot of the good news ahead of time. Sharp, short-term movements in stock prices are typically associated with disclosure of new material information that was not expected by the market. Apple’s release of the iPhone 8 could well be a significant short-term price catalyst – but this depends almost entirely on the features of the new iPhone. While expectations are already high (which reduces the probability of these being exceeded), we believe the area that is most conducive for a positive surprise relates to Augmented Reality, or AR. Short-term movements in Apple’s stock price have been strongly correlated to short-term changes in iPhone volumes. The shares performed strongly when the iPhone 6 was released, as pent-up demand for the large screen format boosted sales. In subsequent periods, Apples share price weakened, with iPhone volumes declining year-on-year, as they struggled to match the success of the iPhone 6. The iPhone 8 may be a significant innovation that could drive short-term sales volumes and hence the share price. Over the longer term, the real driver of Apple’s iPhone business is the growth in the number of iPhone users. During the period when iPhone volumes were declining, Apple’s user numbers increased and the underlying intrinsic value of the iPhone business grew with it. This latest product release is perhaps the most anticipated yet by investors, a fact that leaves us slightly cautious, while it’s also uncertain how consumers will react to the three choices presented to them on September 12th. Opt for the cheapest device and you will essentially be buying a rebadged iPhone 7, or open your wallet for the new set of features. The price of the top-end model may not allow Apple to expand its customer base, particularly in the hyper-competitive Chinese market. Tim Cook, with a background in operations, has by most measures executed well on Steve Jobs’ vision. But if there is a criticism it might be that in middle age, Apple has become conservative, releasing relatively few new products in recent years, let alone repeat the rush of success that came with the iPhone and iPad. In this exclusive video, Nick shares his view on the launch, Apple's valuation, and where he thinks Apple is heading in the coming years. "They are in the premium sector of the market and manage to drive price, and I think the price will go up on iPhone 8. They need to sell more than 200 million a year to stand still, which I think they will, and ultimately what that does is keep people in the apple ecosystem, which drive iOs revenues, which drives revenues from the app store etc. I don’t see any of that changing." Does Apple represent good value today? Apple today is trading at less than 15x trailing earnings, when the net cash is removed. Many analysts are concerned that the iPhone will not be able to maintain its high average selling price as Android phones continue to advance in quality but they may be underestimating Apple’s moat. If you want to see Apple’s moat in real life, ask an iPhone user “If you lost your iPhone today, what phone would you buy?” Their answer is the iPhone 95% of the time. It’s not even a matter of price; that’s their moat. We don’t own Apple today, as we are finding better value elsewhere, but we do not view the stock as overvalued. Andrew Macken - We believe Apple represents attractive value today. At its current share price, the market is implying a reasonable set of expectations about the growth and profitability of its core hardware and services software business. So where is the value? The reason we believe Apple remains attractive today is because investors are essentially gaining a number of real options for free. These relate to the iPhone 8, HomePod, opportunities in the enterprise or classroom, AR, autonomous vehicles and payments. Amit Lodha - Apple is closer to fair value than good value given the information we have. The stock is trading on a roughly mid-cycle multiple (11-12x ex-cash P/E) on arguably peak-cycle earnings. While this is still a significant discount to the broader market, this reflects some structural challenges: Given Apple’s sheer size (1% of global trade) it is hard to continue to grow at historic rates, and there will always be some discount given its reliance on one-off iPhone sales rather than a recurring revenue (think Microsoft/Oracle/SAP) or advertising-led model (Google/Facebook). Stefan Marcionetti - There are two key reasons why Apple represents compelling value to a long-term investor today. The first is that Apple has a number of attractive, high-growth, businesses beyond the iPhone that are not given full value in the company’s share price (Watch, Airpods, ApplePay etc). Collectively these businesses have grown revenues strongly (above 20% p.a.) and enhance the user experience, which reduces the risk of people leaving the iOS ecosystem. If Apple’s Services and Wearables businesses were a separately listed company, they would be highly valued. The second is that the number of iOS users is growing at double digits. Despite volatility in iPhone volumes, around the timing of major product launches, the medium-term outlook for iPhone volumes is positive due to the growing number of iPhone users. We view Apple’s as a subscription business, where the purchase price of an iPhone is akin to a biennial subscription fee to the iOS ecosystem. Give the high valuation of Apple’s non-iPhone businesses, the implied price of the iPhone business at prevailing share prices represents compelling value for what is one of the world’s most successful subscription businesses, and one that enjoys continued growth and a 95% user retention ratio. What will be Apple’s most valuable asset 5 years from now? Stefan Marcionetti - The growth in Apple’s Services and Wearables businesses will outstrip the growth of the iPhone business over the next five years. However, it is likely that the iPhone business will remain Apple’s largest and most valuable business in five years from now. Amit Lodha - Apple’s loyal installed base is, and will remain, its crown jewel. Innovation will be critical to retaining this. The brutal truth is that the richest 700m people on this planet are iPhone users. If smartphones are our doorway to the online world, then Apple is the gatekeeper (who collects a tidy toll!). Trevor Scott - In 5 years, Apple’s most valuable asset will continue to be the strength of its ecosystem. Apple designs both the hardware and software, their products work better together. As we gain more connected devices in our lives, Apple’s ecosystem becomes stronger and consumers become further entrenched. Not only does this make it difficult for consumers to leave Apple’s ecosystem but it is also a competitive advantage when launching new products. Andrew Macken - Security. We believe Apple has the highest probability of keeping user data safe, given its closed operating system. And we believe, in a world in which users are increasingly living their lives via online ecosystems – not to mention increased instances of hacking, the value of security to consumers will only increase. With Apple Pay, we are already storing our credit card details and making payments with our smartphones. With Apple’s HealthKit, our medical data may end up in Apple’s cloud. And when it comes to autonomous vehicles, one could not bear to think of the consequences of the vehicle being hacked. Graham Hay - As we near the 10th anniversary of Apple’s iPhone, we are reminded of the aspects of its business that set it apart from others in the industry. Apple’s business model has been to maintain its hardware and software as a tightly integrated bundle, a contrarian position during the PC era when the broader industry embraced specialisation of hardware and software. Having stuck with this belief system through good times and bad, means Apple products today remain uniquely Apple; a claim few in the industry can make. Apple’s entry into mobile originated from the iPod portable music player, a limited feature set product, but at the same time revolutionary and enabling the company to turn those many tens of millions of customers into automatic buyers of the first iPhone, launched just a few years later. As we look forward to the three new models scheduled for release this month, two will represent extensions of the existing “7” range while one will represent for Apple a major step up in innovation. The introduction of OLED screen technology, wireless charging, 3D sensing and edge to edge display will see Apple incorporate some of the technology already available in high-end Android models. This innovation will come at a cost, however. If Apple is to preserve its industry-leading gross margins, the top-of-the-line handset will likely cost above US$1,000, further widening the pricing premium of IOS over Android-based devices. Large companies are prone to such conservatism as they seek to protect a profitable core, often leaving them looking inward and reactionary rather than leading through innovation. Apple’s greatest asset, the loyalty of its customer base, gives it a great shot at staying young. Markets around them won’t stand still for long, however.